While it might not have been the most stylish, but for decades the top-loading laundry washing machine was the most affordable and dependable. Now it’s ruined—and Americans have politics to thank. Front-loaders meet federal standards more easily than top-loaders. Because they don’t fully immerse their laundry loads, they use less hot water and therefore less energy. But, as Americans are increasingly learning, front-loaders are expensive, often have mold problems, and don’t let you toss in a wayward sock after they’ve started. 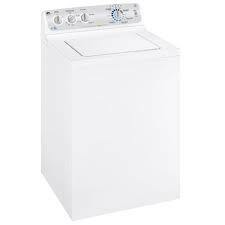 When the Department of Energy began raising the standard, it promised that “consumers will have the same range of clothes washers as they have today,” and cleaning ability wouldn’t be changed. That’s not how it turned out. In 2007, after the more stringent rules had kicked in, Consumer Reports noted that some top-loaders were leaving its test swatches “nearly as dirty as they were before washing.” “For the first time in years,” CR said, “we can’t call any washer a Best Buy.” Contrast that with the magazine’s 1996 report that, “given warm enough water and a good detergent, any washing machine will get clothes clean.” Those were the good old days. In 2007, only one conventional top-loader was rated “very good.” Front-loaders did better, as did a new type of high-efficiency top-loader that lacks a central agitator. But even though these newer types of washers cost about twice as much as conventional top-loaders, overall they didn’t clean as well as the 1996 models. The situation got so bad that the Competitive Enterprise Institute started a YouTube protest campaign, “Send Your Underwear to the Undersecretary.” With the click of a mouse, you could email your choice of virtual bloomers, boxers or Underoos to the Department of Energy. Several hundred Americans did so, but it wasn’t enough to stop Congress from mandating even stronger standards a few months later. Now Congress is at it once again. On March 10, the Senate Energy Committee held hearings on a bill to make efficiency standards even more stringent. The bill claims to implement “national consensus appliance agreements,” but those in this consensus are the usual suspects: politicians pushing feel-good generalities, bureaucrats seeking expanded powers, environmentalists with little regard for American pocketbooks, and industries that stand to profit from a de facto ban on low-priced appliances. And there are green tax goodies for manufacturing high-efficiency models—the kind that already give so many tax credits to Whirlpool, for example, that the company will avoid paying taxes on its $619 million profit in 2010. Amazingly, the consensus also includes so-called consumer groups such as the Consumer Federation of America and Consumers Union. At last week’s hearing, the federation touted a survey supposedly showing overwhelming public support for higher efficiency standards. But not a single question in that survey suggested that these standards might compromise performance. Consumers Union, meanwhile, which publishes Consumer Reports, claims that new washers can’t be compared to old ones—but that’s belied by the very language in its articles. We know that politics can be dirty. Who’d have guessed how literal a truth this is? This entry was posted in Appliance Repair Parts and tagged Appliance Parts, front loading washing machine, top loading washing machine, washing machine, Whirlpool. Bookmark the permalink.